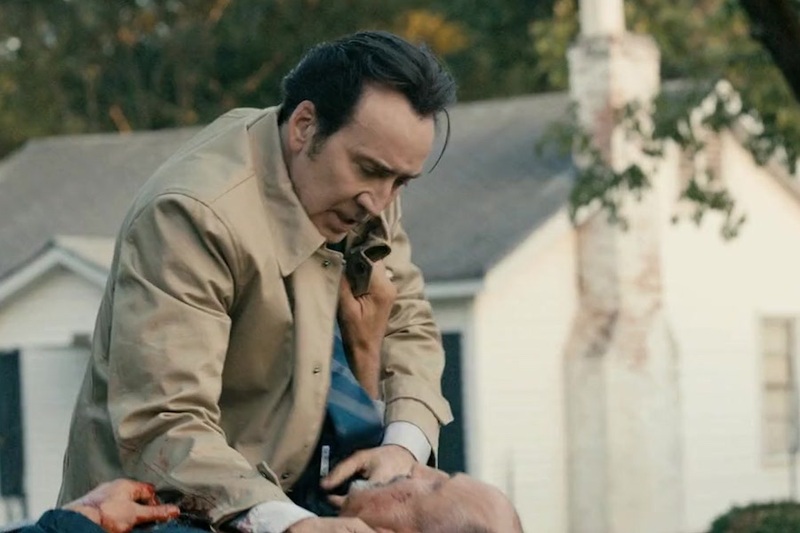 A Nicolas Cage drama, a James Franco genre mash-up and film festival winners are among six FilmRise titles coming to Blu-ray Disc in March from MVD Entertainment Group. The lineup begins with five titles streeting March 12th. 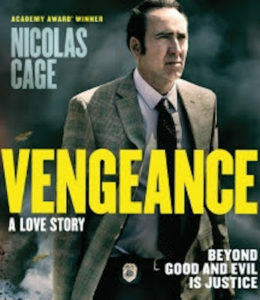 The Nicolas Cage action-drama Vengeance: A Love Story, a film in the vein of Death Wish, stars Cage as a detective seeking justice for a single mother that is brutally assaulted in front of her 12-year-old daughter. Chloë Grace Moretz stars in The Miseducation of Cameron Post, based on the novel by Emily M. Danforth. The story follows Cameron as she’s sent to a gay conversion therapy center where she forms a bond with a group of fellow teenagers, and together they fight for survival. 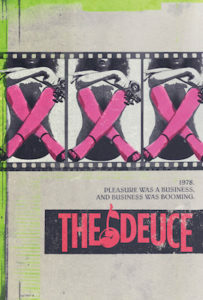 The film won the Grand Jury Prize at the 2018 Sundance Film Festival. Bonus features include an audio commentary with director-co-writer Desiree Akhavan and producer-co-writer Cecilia Frugiuele; a behind the scenes photo gallery; the theatrical trailer; and an accolades trailer. 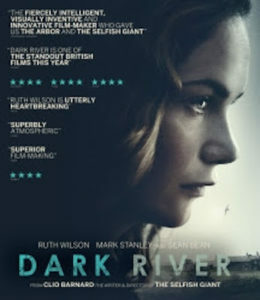 Clio Barnard’s Dark River, winner of the Platform Prize at the Toronto International Film Festival, is the story of a woman that returns home to her family farm after the death of her father. Having been gone for more than 15 years, she is forced to face dark memories from her past while attempting to rekindle the relationship with her brother. Life in the Doghouse is a documentary that showcases the work done by Danny Robertshaw and Ron Danta at Danny & Ron’s Rescue. In their 10-plus years of working together, the duo has saved more than 10,000 dogs. Bonus features include deleted scenes, a trailer and a photo gallery. The final March 12 release is the modern cult classic The Greasy Strangler. Bonus features include audio commentary with director Jim Hosking, Michael St. Michaels and Sky Elobar; exclusive cast and crew Interviews; the original theatrical trailer; the red band trailer; and a teaser trailer. Due March 26th is Dan Bush’s The Vault, a genre mash-up that opens like a pretty standard heist film about a bank robbery, but the tables take a turn when it’s revealed that the bank is haunted. 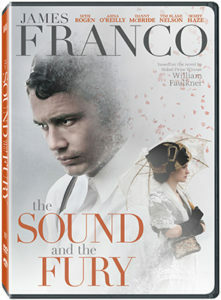 The Vault Stars James Franco, Taryn Manning and Clifton Collins Jr.
Monarch Home Entertainment will release The Sound and the Fury, a 2014 adaptation of the William Faulkner novel, on DVD Dec. 11. The story deals with the decline and fall of the Compsons, a once-proud aristocratic Southern family. 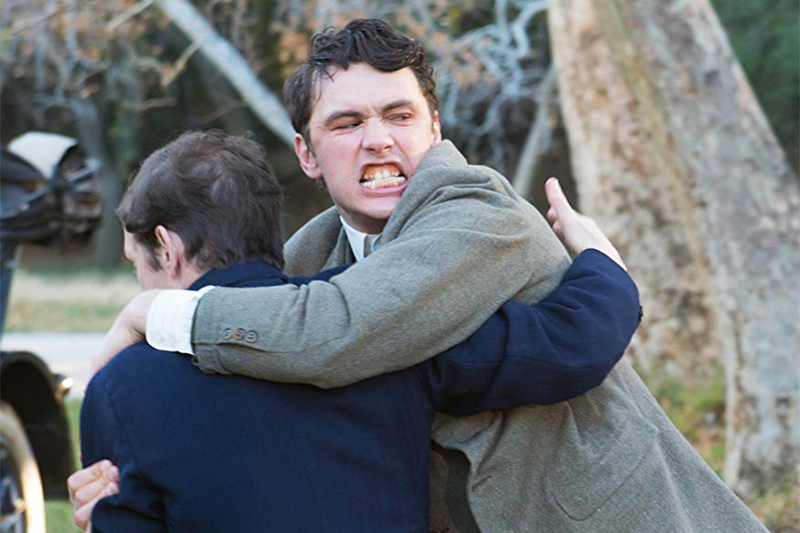 The cast includes James Franco, Seth Rogen, Danny McBride, Tim Blake Nelson, Ahna O’Reilly and Scott Haze. Lionsgate will release the post-apocalyptic sci-fi actioner Future World, co-directed and starring James Franco, on Blu-ray, DVD and digital July 10. The film is currently available on demand. Future World tells the story of a young prince searching the wastelands of the future for a cure for his dying queen, when he encounters a ruthless warlord (Franco) who forces him to fight for all of humanity. Co-directed by Bruce Thierry Cheung, the cast also includes Suki Waterhouse, Jeffrey Wahlberg, Snoop Dogg, Cliff “Method Man” Smith, Lucy Liu and Milla Jovovich. The Future World Blu-ray and DVD will include a behind-the-scenes featurette.